I am sure everyone is in full Christmas card mode by now. 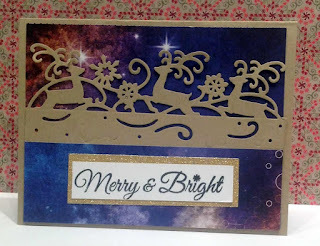 I made a non traditional card using some great rubber stamps. I made this for a Challenge at The Modquad Challenge site. The challenge this week is to use Dimension. The sponsor is Designs by Ryn. The background is done using Brushos. The stamps used are listed below. I had a hard time making the seahorses pop:-) I added some Shaved Ice fragments from Stampendous to try to help them stand out. In real life they are more noticeable. This is the smallest stamp in the set. Maybe the larger one would have been better. But hey, it's Christmas and I wanted a pair:-) The Joy is a die cut. 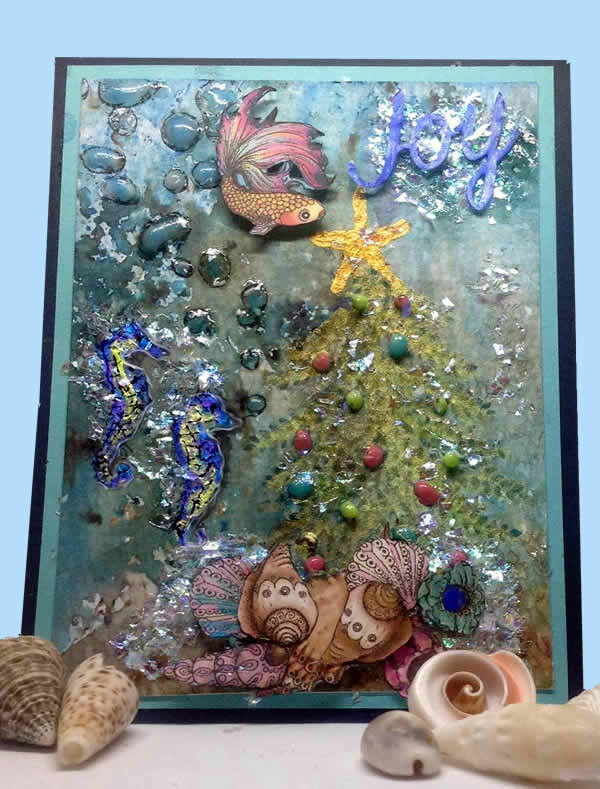 The fish and shells are fussy cut from Heartfelt Creations Under The Sea collection. OK, second shaker if I count the one I helped my granddaughter with. 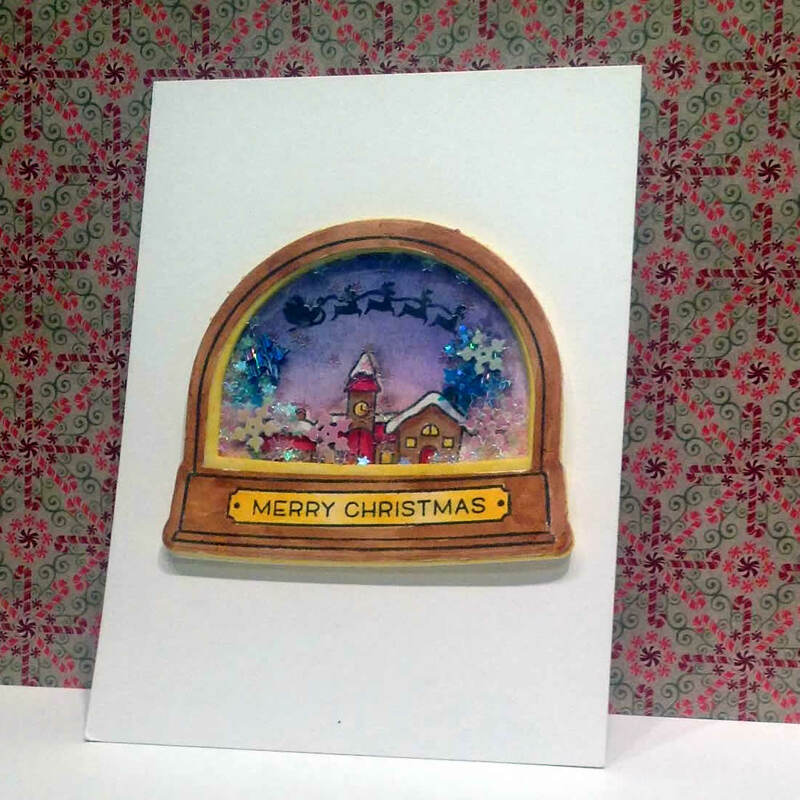 I used Lawn Fawns Snow Globe stamps and dies. I didn't have any white foam yet so I used yellow, darn it. It shows so I tried to make it blend in by using the same color on the sentiment plate LOL. 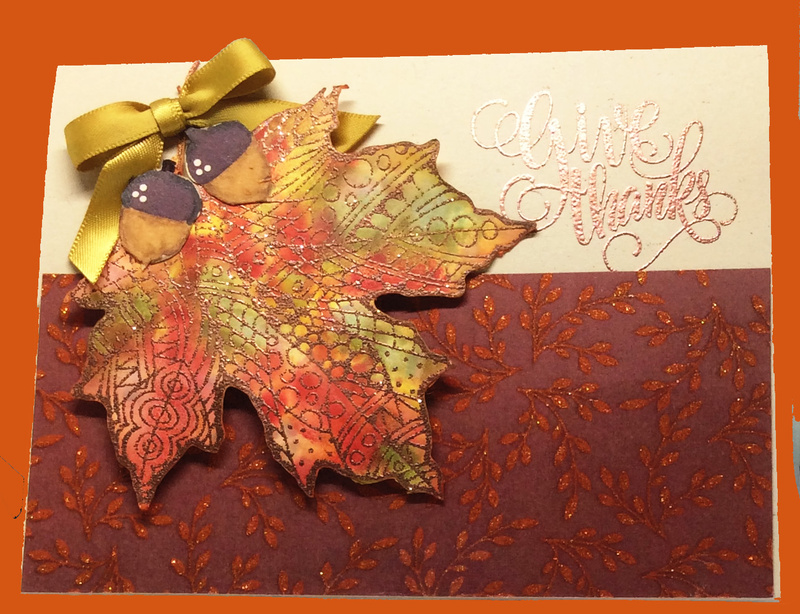 Another fall card. 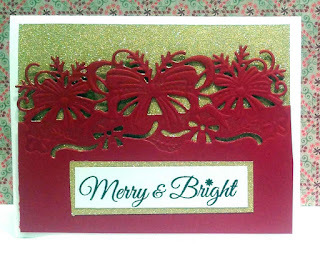 I used the leaf (Stampendous) I colored with Zig markers, a Anna Griffith die cut that I cut last year LOL. 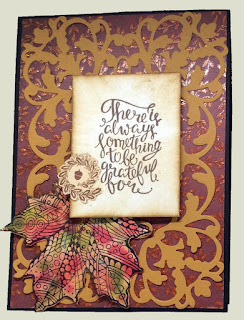 My favorite stamp from the GinaK Designs "Painted Autumn" stamp set. I was busy making the last of my fall cards today. Here is a glitzy one. 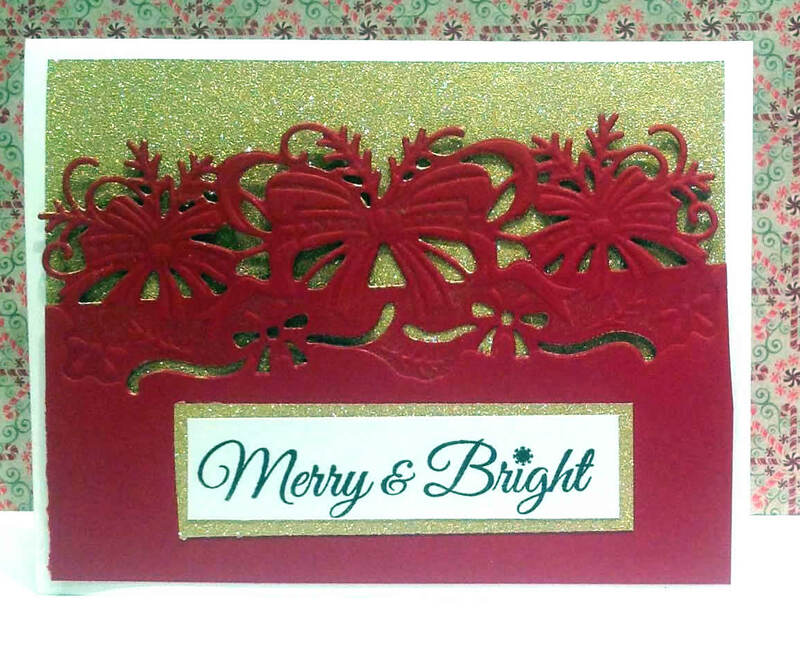 I embossed the leaves with copper glitter from WOW. 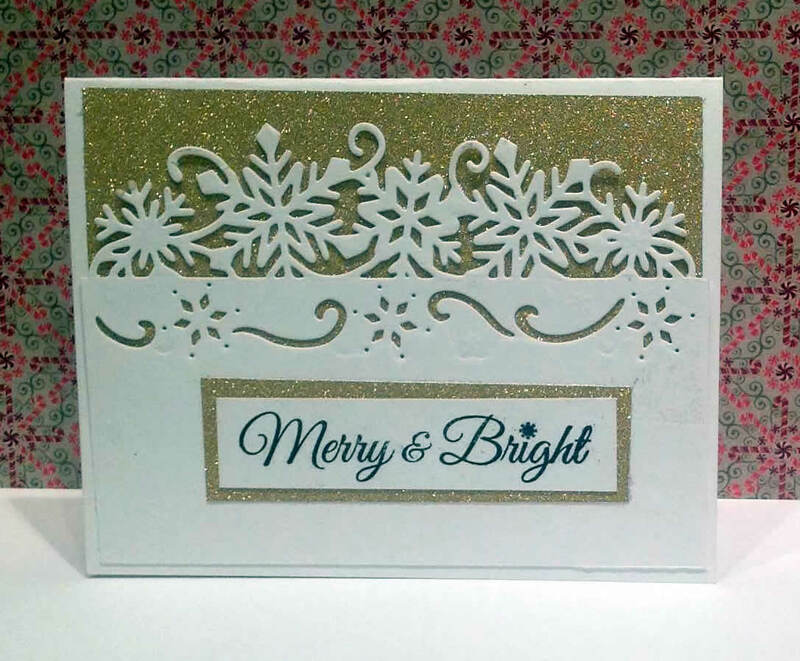 The sentiment is embossed in Penny from Brutus & Monroe. Sentiment is Gina K. Colored with Zig markers and acorns with Copic. 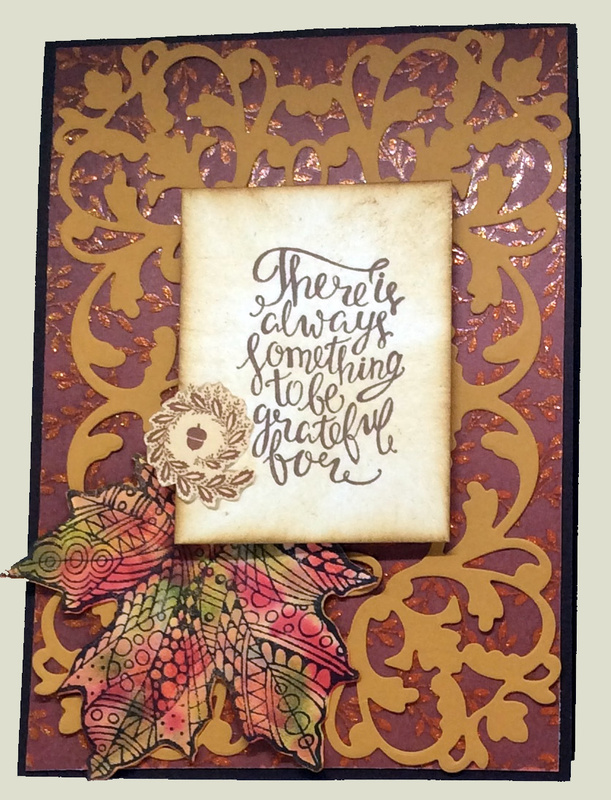 Simon Says Stamp Wednesday "Thanksgiving"
I got 3 new Edgeables dies from Crafter's Companion on their birthday sale and 25% off. The dies HERE. 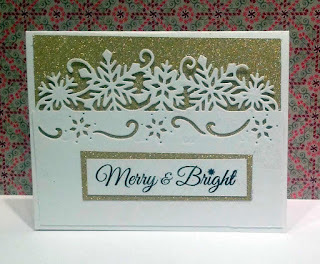 The sentiment is from CAS-ual Friday's, Snowflake Splendor. 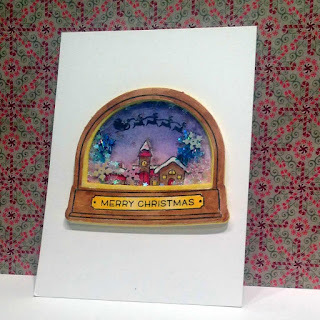 Love her stamps and sentiments.